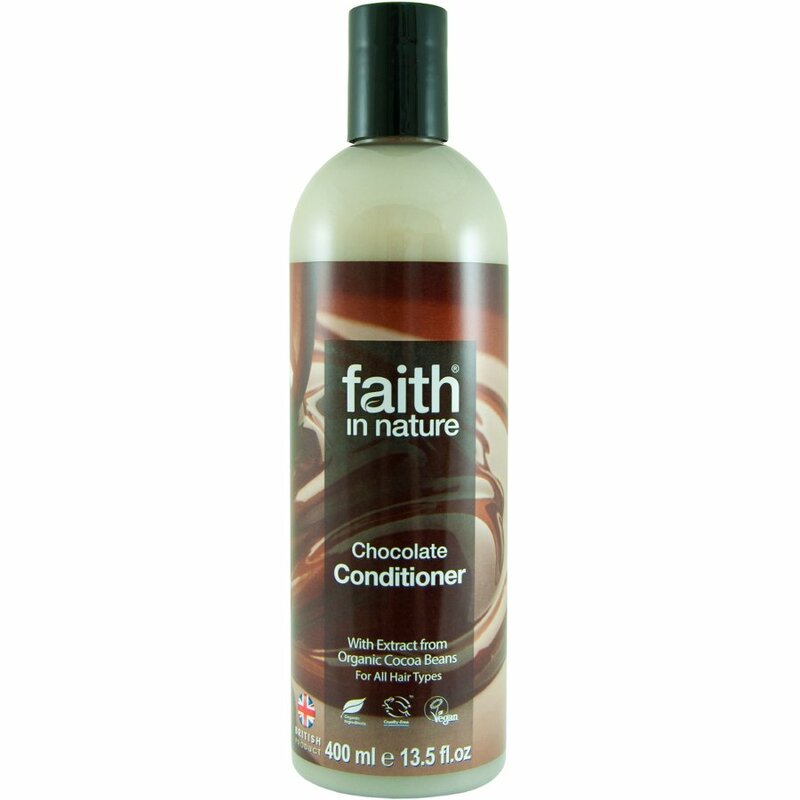 This irresistible Organic Chocolate Conditioner from Faith In Nature contains anti-oxidant flavonoids helping to protect against the ageing process. In addition chocolate contains both seratonin and phenylethylamine two 'feel good' factors that are naturally released when we're happy and at peace with ourselves. When showering and washing your hair the sweet aroma of our organic chocolate is released and your heightened senses pick up on this uplifting sensory delight. Suitable for all hair types although it naturally benefits brunettes and black hair. A luxurious blend of Organic Chocolate and Sage enhances and adds extra shine to darker shades of hair. Directions for use : Wash hair with our Chocolate Shampoo. Rinse well and massage conditioner into hair and scalp. Leave on for 5 minutes for best results. Rinse out. For frequent use. If contact with eyes occurs rinse well. Discontinue if adversely affected. Keep away from children. May contain nuts. 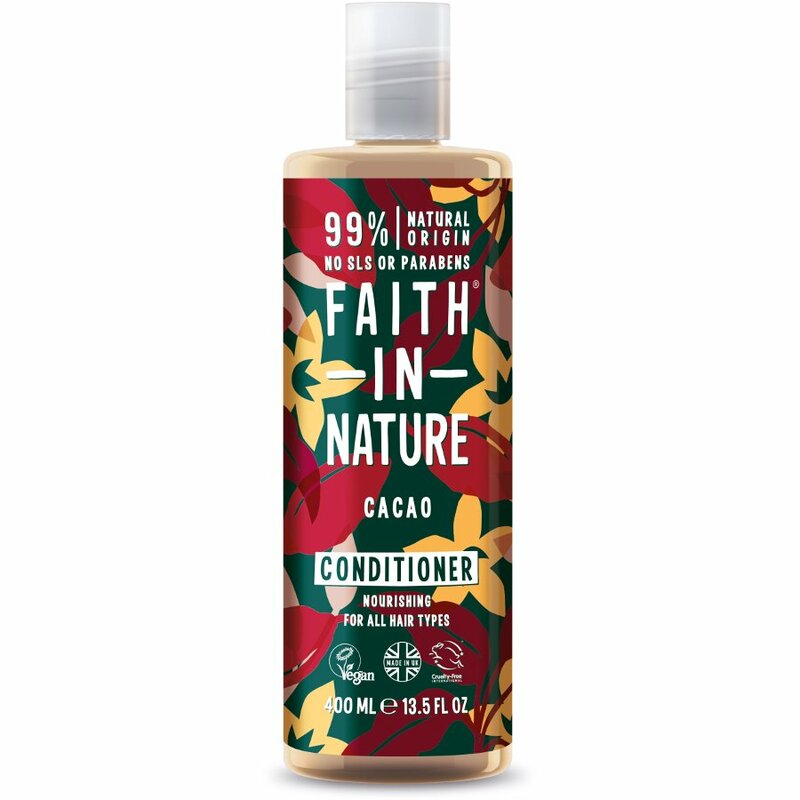 There are currently no questions to display about Faith In Nature Cacao Conditioner - 400ml.